Magnesium is an essential nutrient to a horse’s wellbeing, and among its many roles is the regulation of nervous tension. As magnesium also acts on muscle tension, a horse low in magnesium may appear ‘tight’ in his way of going and express excitability or a lack of confidence. Low magnesium may be caused by a grazing deficiency or simply a horse or pony’s individual metabolism. Magnesium levels can also be reduced by regular travel and competition. Magic is more than just magnesium; it also contains a blend of herbs chosen for their traditional use in supporting confidence and concentration. High stress situations - if necessary individuals may benefit from topping up with an Instant Magic Syringe. Maintenance levels can be adjusted to suit the horse or pony, and are not strictly according to size of animal. Introduce gradually for fussy feeders. One 50ml scoop provides approx. 25g of Magic powder. Magnesium oxide, Grass meal, Hops, Passion flower, Calcium carbonate, White mineral oil, Brewers' yeast, Magnesium chloride, Fenugreek seed, Oligofructose (dried), Saccharomyces cerevisiae extract. Per syringe - Sensory: Kawa-Kawa tincture 10.7 ml, St John’s wort tincture 5.3 ml, Passiflora incarnata extract 2.6 ml. Per litre - Sensory: Kawa-Kawa tincture 400 ml, St John's wort tincture 200 ml, Passiflora incarnata extract 98 ml, Peppermint tincture 2 ml. Digestion Enhancer Saccharomyces cerevisiae CBS 493.94 4a1704 8.6 x 109 cfu/kg. Oestress compliments the mare’s natural oestrus cycle by encouraging regularity and providing extracts of herbal ingredients that have been used for hundreds of years to support hormone balance. So by improving her diet with Oestress, you are helping your mare to help herself. Oestress also provides bio-available magnesium to relax muscle tension and encourage calmness. Oestress is rich in natural antioxidants to naturally support a healthy system & should be fed daily throughout the spring and summer season and may be adjusted in accordance with her oestrus cycle. However, if needed Oestress is suitable for year round use. Ideally fed split between feeds. If feeding once daily best given in the morning. 5 litres fed at 25ml per day will last approximately 200 days. Maintenance levels should be adjusted to suit the individual mare, and are not necessarily strictly according to bodyweight. Also suitable for geldings showing "riggy" behaviour. One 20ml scoop provides approximately 10g of Five Star Oestress powder. The loading rate may be used to establish her on Oestress and also during the peak time of her season. Maintenance levels may be adjusted to suit the individual and are not necessarily related to bodyweight. Not recommended for pregnant mares. Recommended to discontinue use on broodmares two months prior to covering. Suitable for geldings showing ‘riggy’ behaviour. Chastetree berries, Magnesium oxide, Cramp bark, Sunflower seed, Black cohosh, Brewers' yeast, Bitter orange peel (ripe), Rosehip shells, Thorowax, Carrot (dried), Ginger, Omicha berries, Dandelion leaves, Milk thistle seeds, Turmeric, Hawthorn berries, Blueberries, Gingko leaves, Rosemary, Tomato pulp, Angelica, Skullcap, Licorice, White mineral oil, Fructo-oligosaccharides, Apiculture by-product (bee pollen), Wheat protein. combines all the high quality ingredients of Blue Chip Feed Balancers with magnesium, L-tryptophan and chamomile which have proven calming effects on horses and ponies. The primary reason for combining a calmer and a feed balancer is that stress and digestion have a symbiotic relationship; stress can cause digestive issues, and digestive issues can cause stress. The probiotics in the balancer restore the natural balance of the gut flora and help to maintain the natural well-being of the digestive system, allowing optimum utilisation of the carefully formulated combination of vitamins, minerals and nutrients present in all the Blue Chip Balancers. Blue Chip Karma contains a water-soluble form of magnesium which can be quickly absorbed into the blood stream. Karma also contains other beneficial vitamins and minerals, including vitamin C and L-tryptophan, which is included as it is a pre-cursor for the hormone serotonin, the ‘feel-good’ hormone. Karma does not contain any banned or prohibited substances and is completely safe to use daily or as a single dose as required. Karma contains a superior, water-soluble form of magnesium that can be quickly absorbed into the blood stream. Magnesium is known as the anti-stress mineral. This key mineral is essential to the nervous system of the horse. Magnesium is used by the horse to control blood pressure to maintain a healthy, settled nervous system. It also helps to relax muscle. Magnesium is stored in the bones and in the gut. Many sources of magnesium available to the horse are insoluble and therefore unable to easily pass into the bloodstream. When stressed, horses can quickly use up their available stores of magnesium. Feeding Directions: administer 10ml of contents into the horse's mouth on to the back of the tongue prior to exercise or an event in accordance with competition rules. NAF 5 Star Oestress Powder compliments the mare’s natural oestrus cycle by encouraging regularity and providing extracts of herbal ingredients that have been used for hundreds of years to support hormone balance. 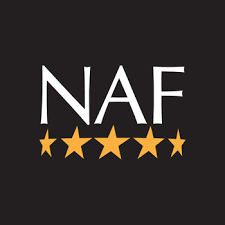 So by improving her diet with NAF 5 Star Oestress, you are helping your mare to help herself. NAF 5 Star Oestress also provides bio-available magnesium to relax muscle tension and encourage calmness. Lastly, NAF 5 Star Oestress is rich in natural antioxidants to naturally support a healthy system. NAF 5 Star Oestress should be fed daily throughout the spring and summer season and may be increased in accordance with her oestrus cycle. However, if needed NAF 5 Star Oestress is suitable for year round use.